Buy additional credits to activate our software on your additional computers, i.e. a work PC or personal laptop. 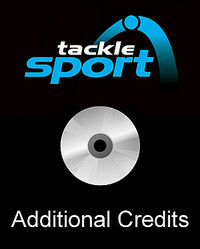 The additional credits can be purchased for ALL Tacklesport software except PP4P. 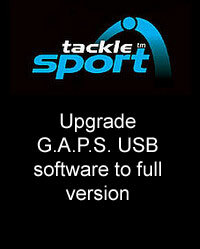 This upgrade only applies to Users who have previously purchased a USB ‘Train like a Pro’ version of the G.A.P.S. software. Add a minimum of 100 additional Games, Activities, Practices and Skills, together with a fully interactive Risk Assessment tool to guarantee the safety and enjoyment of your sessions. 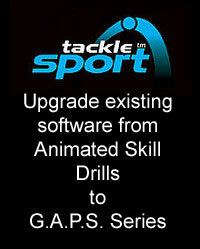 Note: You MUST specify which Sport you are upgrading. 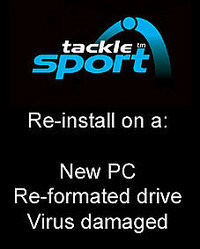 Re-activate your licence in the event that your PC is damaged or replaced.